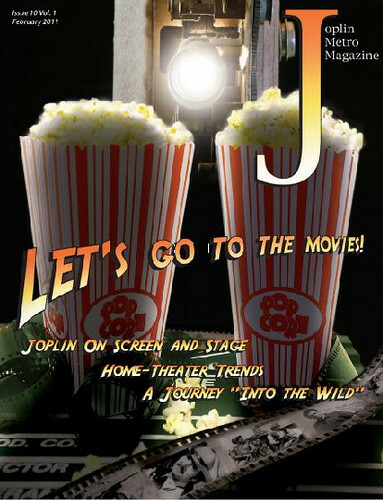 The Joplin Metro Magazine has a couple offerings in the area of Joplin’s history for the February issue. Perhaps its biggest piece covers the history of the Joplin Little Theater. In operation since 1939, the Joplin Little Theater is purportedly the oldest running community theater west of the Mississippi. The other facet of Joplin history presented concerns some of Joplin’s residents who have gone off to find a fortune in Hollywood, including the well known Dennis Weaver. No stranger to Joplin after he found success, Weaver was more than happy to film commercials for Missouri Southern State University, which he had attended when the school was known as Joplin Junior College. Joplin Metro Magazine can be found for free at various business locations around Joplin or you can read it online here. This page took 0.408 seconds of computer labor to produce.